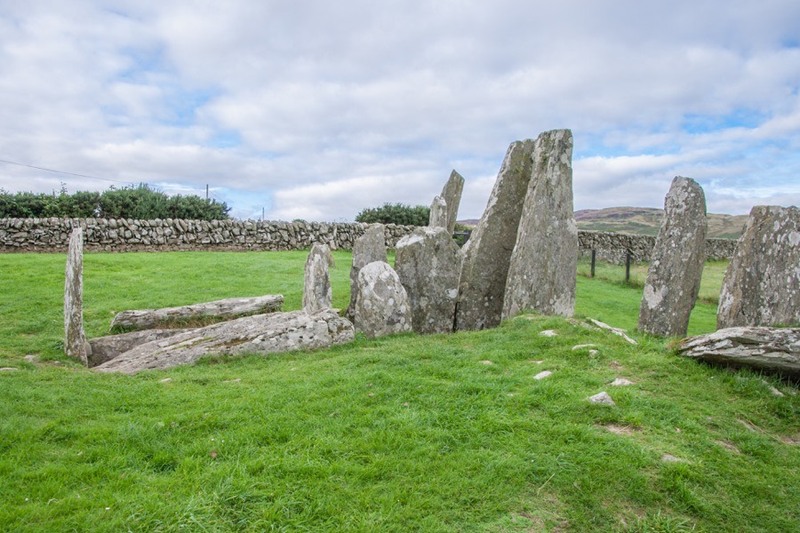 Cairnholy I is a chambered cairn which stands in a majestic position on a hillside overlooking Wigtown Bay. What can be seen today are the stones of an internal burial chamber and associated ante-chamber which would once have been covered with smaller stones within the mound of a cairn. The complex dates back to the 4th millenium BC. 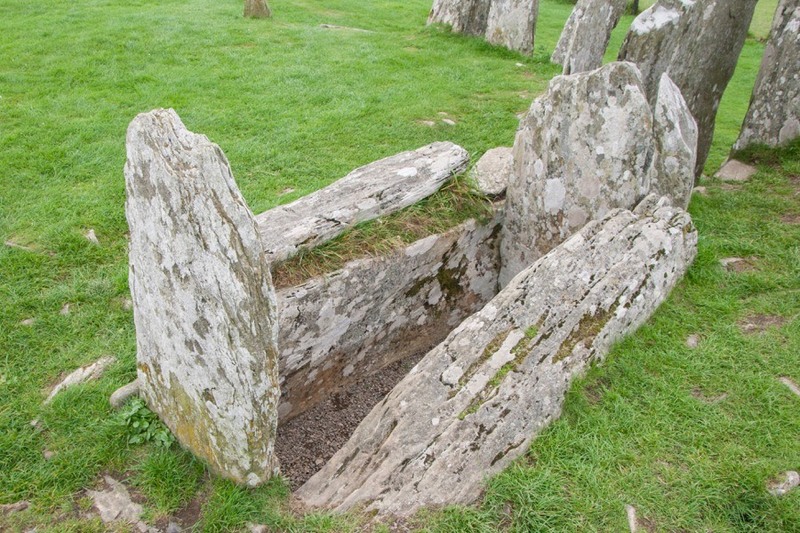 The burial chamber consists of four slabs of stone on top of which would probably have been topped off with a covering stone. 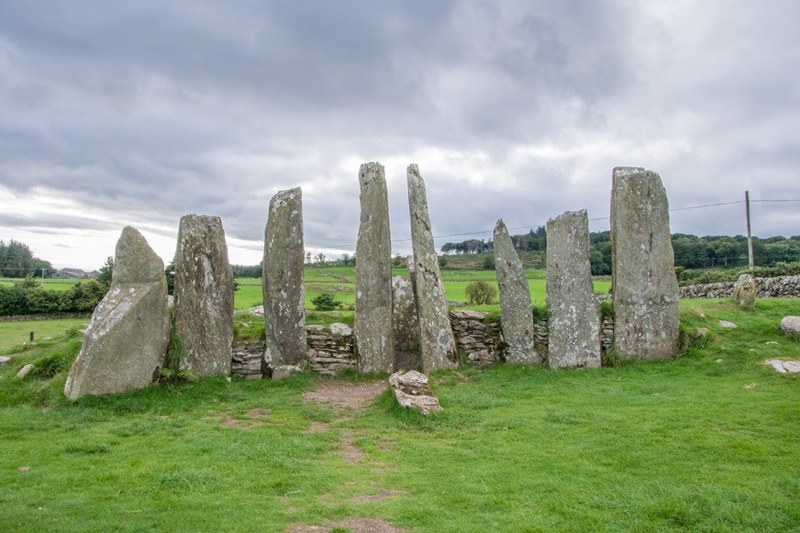 To the east of the chamber are two tall portal stones with three further shorter pillars arranged on either side of those. 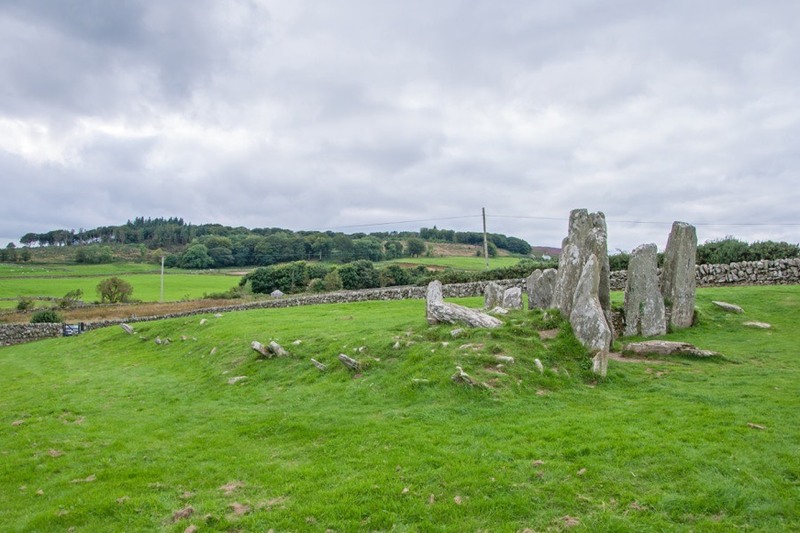 The cairn originally stretched west from the burial chamber, and while most of the cairn material was robbed for field walls and building in the 18th century its extent can be identified by a low mound edged with stones. Around 200m further up the hill is a second chambered cairn, Cairnholy II. Cairnholy I is in the parish of Kirkmabreck and the county of Wigtownshire. Published on the 4th of April 2019 at 12:25 pm. Updated on the 10th of April 2019 at 12:26 pm.